eBay is among the few multinational eCommerce brands that have been active and have a significant share in the online shopping market. You would be surprised to know that Pierre Omidyar didn’t start eBay with an intent to make money, he founded AuctionWeb to sell his personal stuff online, it was part of a larger personal site. eBay was a personal site for Omidyar to auction his personal things online that was a part of his hobby. No doubt that the idea was brilliant, and it was picked up quickly by Netizens which encouraged the founder to get into this business. So, this is how the eBay was born to be one of the greatest eCommerce platforms on the Internet, and an exceptional story of the dot-com bubble. Now, without wasting time let’s skip to the topic to get you insights into how does eBay work. eBay is a well-known eCommerce platform that does not need much of introduction, but we will look it through the entrepreneurial point of view that would bring more clarity to eCommerce startup aspirant to understand how does eBay work with eBay business model. The user can sign on the eBay as a seller/buyer, also log in through Facebook, Google. One can purchase new, used items and sell them as well. 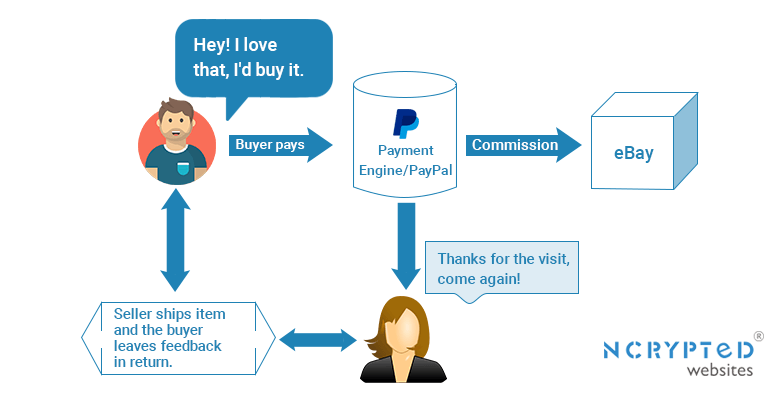 Take a look at eBay user flow diagram to know how does eBay work. How does eBay Work for Buyers? Buying on eBay is simple, the website navigation is flawless. It helps buyers to find products with ease using the different product search methods. Let’s look at how does eBay work for buyers in details. The homepage showcases the latest products and deals available for buyers where buyers can pick the best deal of interest. Here, the buyer can search products based on categories, subcategories, brands and different other criteria such as item price, shipping preference, item condition(New/Used), return policy etc. The buyer can see all product-related details on the product page. Here, he/she can click “Buy It Now” for instant checkout or click “Add to cart” and continue shopping. Also, window shoppers can use “Add to watch list” to keep it for the future purchase. The user can pay through PayPal Credit card and debit card. PayPal Credit is also an option to pay for the item in instalments with zero interest. To be eligible for special finance, the buyer needs to check out with $99 or more. The buyer can also apply for eBay Mastercard that promises reward points on every purchase. There are also other benefits which you can see on above this image. eBay offers the money back guarantee in case if a buyer does not get the product, receives different product or damaged item. eBay wants buyers to shop with confidence. The buyer can get a refund in cash or replacement within 30 days of product purchase. Here, the seller or buyer would have to pay for return shipment as per conditions agreed during the purchase. The seller may provide domestic or international shipping based on his/her preference. 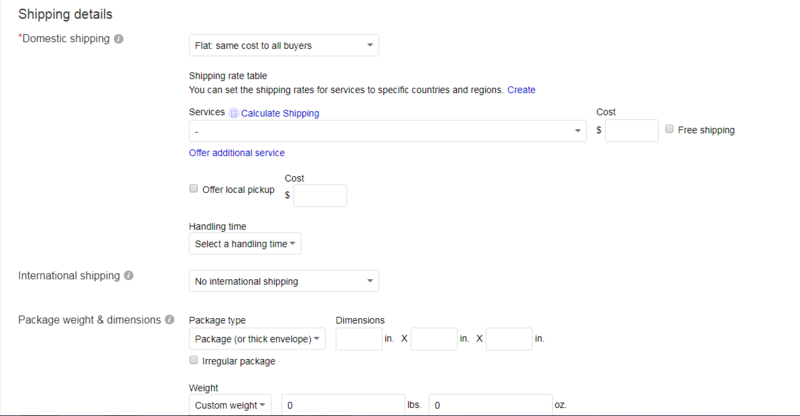 The buyer can check and calculate shipping cost which may include tax in case of international shipment. Buyer can also see the estimated date of delivery on the product page or during checkout. Here, Users can get real-time tracking of the shipment to get a better idea about the product location. Customer feedback plays a key role in maintaining transparency in business. Once the buyer receives the product, he/she can submit feedback to the seller that helps other buyers make deal with him/her. Somehow it also helps sellers to garner reputation with having more positive feedback. How does eBay Work for Sellers? Selling on eBay is an effective way to increase revenue for an offline business or starting up an online shop in order to make some cash. Let’s see how does eBay work for sellers. First of all, the seller has to choose a category and related subcategory after that the seller will be redirected to the product listing page where he can fill required details related to that item as described below. Title: The title for a product within 80 characters that would help buyers to search that item, also add a subtitle if any. Category: The category and subcategory that a seller already selected in the previous page, in addition to that he/she can select a second category for listing, for that a seller may have to pay a little extra. Condition: Specify item condition – New or Used. Product Images: The Seller can upload product images that display item with greater details. In the end, it helps buyers to decide whether to buy it or not. The seller can display a large photo in search results with Gallery Plus by paying additional charges. It is a product-specific selling feature based on the selected category and subcategory the seller needs to fill product related details. Here, the seller can describe a listing with product specifications such as brand information, warranty period and much more information that could serve the selling purpose. The seller has to mention shipping details in this section. Format: Selling format – Auction-style or Fixed price. Duration: A listing will appear as per the set duration. The seller can list item immediately, or he/she can schedule on specific date & time. Price: The seller can set Starting price, But It Now price and Reserve price for a listing. Here, the reserve price may result in additional changes. A seller can allow buyers to make offers to purchase an item. Quantity: The quantity of an item available for sale. Make a donation: Sellers can donate a percentage of the sale to the charity of their choice and eBay gives them credit on basic selling fees for sold items. 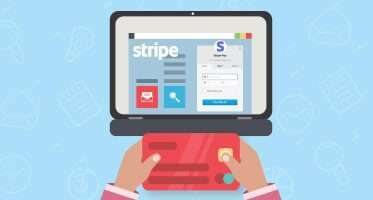 Payment Options: Payment details for buyers to make a purchase through PayPal and other offline payment methods mentioned by the seller with additional checkout instructions. Tax & Returns: Sellers can mention tax rates and return policy for domestic and international shipping. As mentioned in the image sellers can choose preferable domestic and international shipping options from drop-down menus. Shipping cost may vary based on item location and dimensions. After filling up required details the seller can preview listing before publishing, or he/she can keep it as a draft. So, this is how eBay works for sellers. You may also like Inside the World of Credit Karma: How does Credit Karma Work? eBay has a successful business model the eCommerce giant makes money in every possible way. As mentioned earlier in this blog seller would have to pay extra to unlock some features while listing an item. Let’s find out how does eBay make money. eBay acquired PayPal for the price of $1.5 billion. 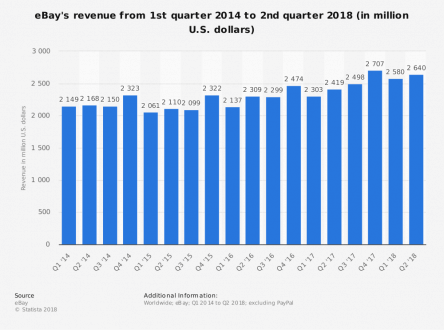 eBay’s major chunk of revenue used to come through PayPal which facilitates payments between buyers and sellers on eBay. In 2015, eBay and PayPal became independent companies. Know how does PayPal work to get more clarity on it. 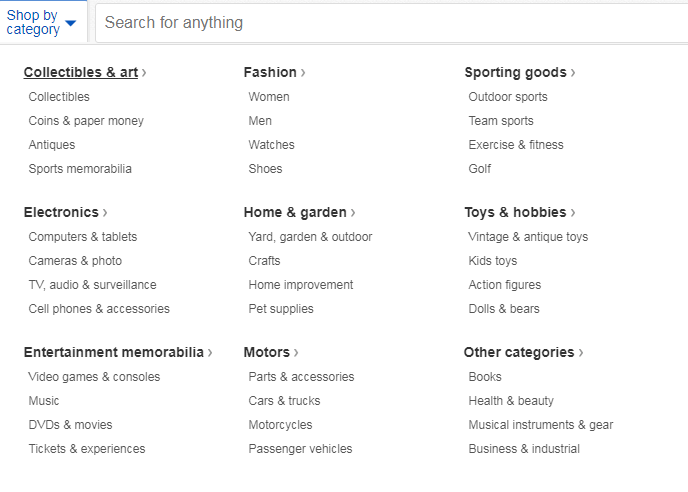 eBay gets a lot of money from selling activities. eBay would charge different types of fees to improve selling experience with paid features. Apart from that, the seller has to pay final value fees when listed or relisted item sells. Thus, eBay makes money by helping sellers to improve their selling performance through the platform. 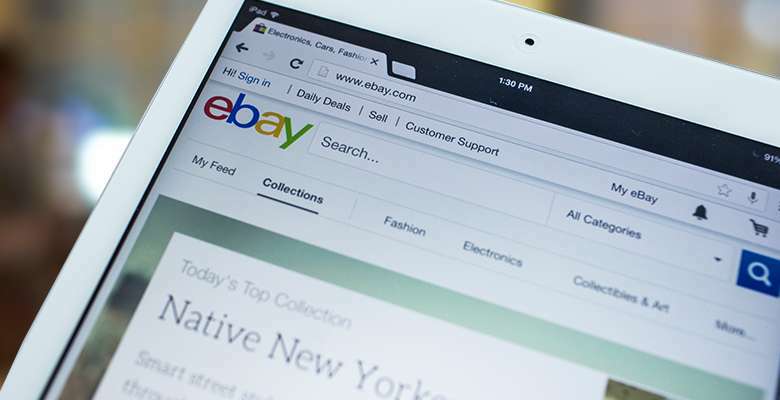 eBay is “all in one” eCommerce platform it covers different eCommerce segments such as instant checkout with Buy It Now, product auction and Daily Deals where users can find exciting deals of the day. It’s difficult to find an eCommerce platform having tons of features to offer to its’ users. eBay works differently from Amazon and Groupon. How to Develop a Business Like eBay? You can develop an eCommerce business using NCrypted Websites’ eCommerce business solutions. eBay clone is a suitable software to enable an online shopping startup. eBay clone script can enable your own eCommerce business similar to eBay. You can customize eBay clone script to add new features in order to create a startup as per your business requirements. eBay clone is a ready-to-deploy eCommerce script that helps to launch eCommerce startup in a short period of time. In the end, it saves startup development time and cost as well. Feel free to share your views on the blog – “How does eBay work?”. 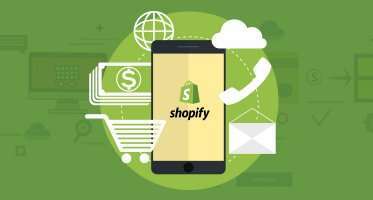 Get in touch to discuss requirements for your eCommerce startup. You may like to read: How does Craigslist Make Money? ← Analytical Guide: How does Robinhood Make Money? 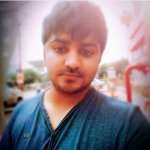 Karan is a content creator, webmaster. He likes to read & write about the tech startup trends across industries. I have been checking out a few of your articles and i can state clever stuff. Hey there! This is my first visit to your blog!We are a collection of volunteers and starting a new project in a community in the same niche.Your blog provided us useful information to work on. You have done a outstanding job! !